I am a mountain person at heart: the love that was born during my school trips to the Carpathian Mountains and nurtured during all those adventures around North America. So when the mountains call, as Muir so eloquently put it, I must go. Last summer, as I was planning our trip to California, many places were added, then scratched off the list. 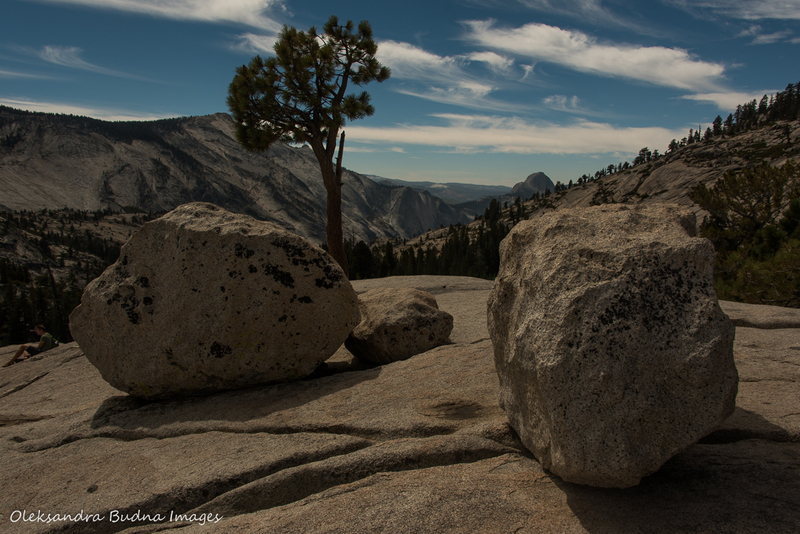 One destination, however, remained non-negotiable – Yosemite National Park, Muir’s old stomping grounds right in the heart of Sierra Nevada. 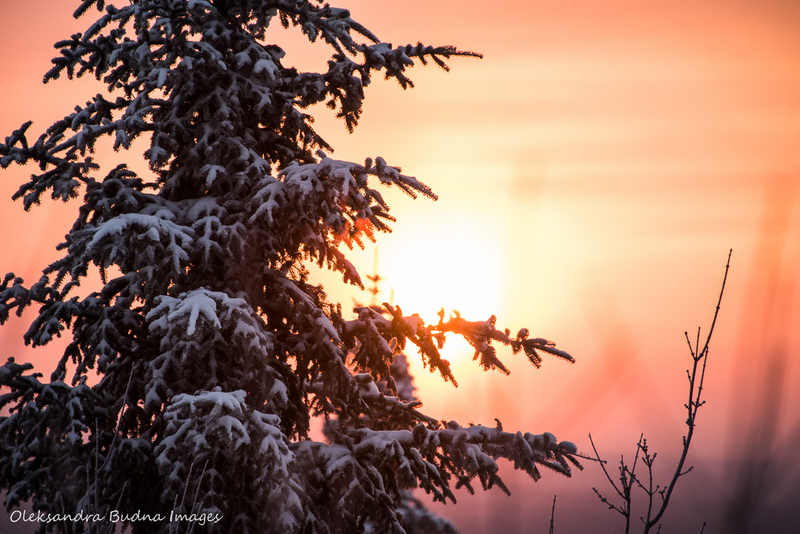 What are the first signs of spring you usually look for? Tree branches swelling with buds, dainty flowers poking their delicate heads through last year’s leaves, that cheerful bird twitter in the morning. How about rushing waterfalls? Or better yet ankle-deep, thick mud. We certainly encountered a lot of the latter on our most recent microadventure. Spring, when rivers are at their fullest after the snowmelt, is the best time for waterfall chasing. And with Hamilton, the waterfall capital of the world, located less than an hour away, finding one is never a problem. (Although deciding on which of its 100 tumbling water features to visit can sometimes present a dilemma). 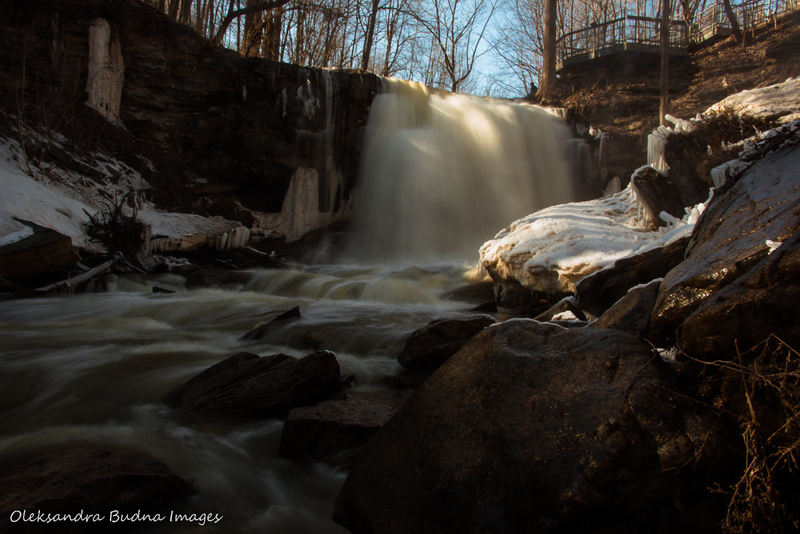 Then, once we enjoy the sight and sound of rushing water, we find Bruce Trail or one of its tributaries, which are always bound to be somewhere nearby, and set out on a hike. It seems weird to be publishing a post about winter when spring is already in full swing – mud, rain and all. Still as I looked back at another great winter of outdoor adventures, I felt this often maligned season deserved some praise and love. So here we go. Winter took some time coming in Toronto. But when it finally arrived, it more than made up for its earlier absence bringing record snow falls, freezing temperatures, freezing rain, wind storms, snow storms, even a snow day at schools, which hasn’t happened in a few years. All of this prompted ominous warnings from weather experts urging everyone to not leave the house ever again and, of course, endless complaints about what is actually a pretty normal winter behaviour. As we huddled in bus stops and cursed in traffic jams, we forgot that winter is more than the inconveniences it causes. 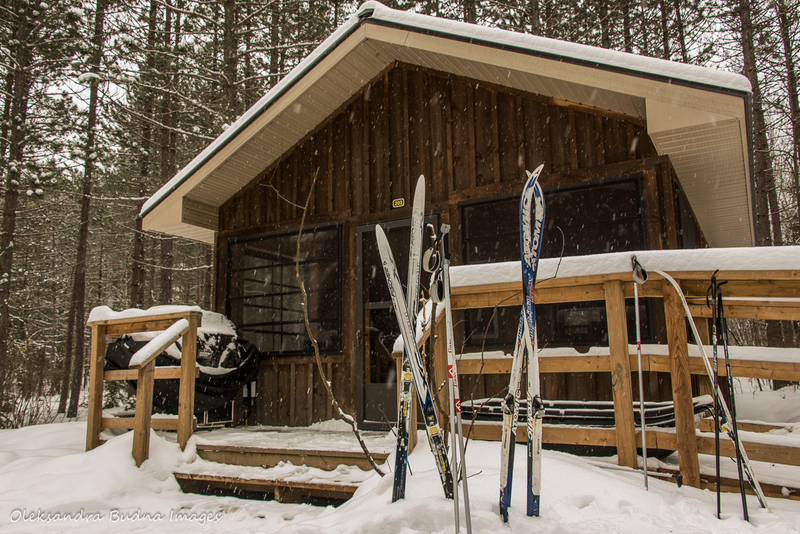 With Family Day weekend approaching, we were determined to remind ourselves how to do winter right. This is a story of a cabin. 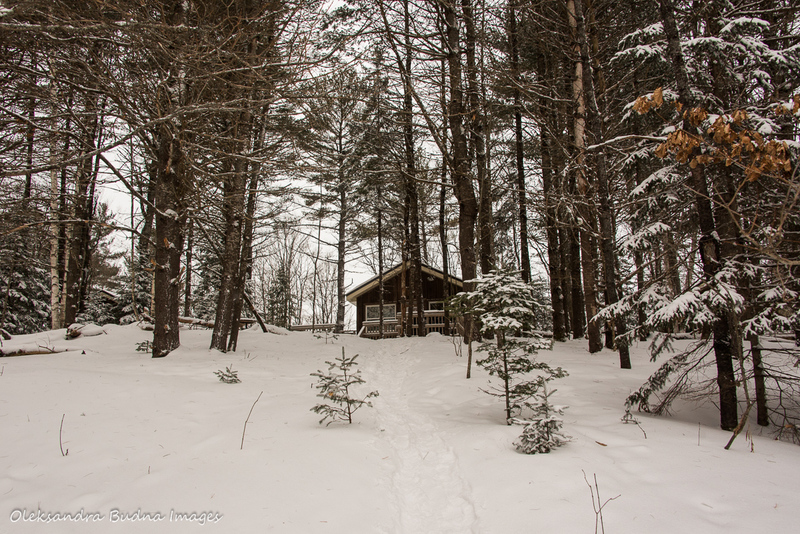 To be more specific, the Black Bear’s Den cabin at Silent Lake Provincial Park. But it doesn’t start with the cabin. It begins with a video course at Humber College, which I decided to take this January. Or maybe its origins are rooted in much earlier times marked with restlessness that led me to the Humber website in the first place in search of a distraction, something to get me out of the rut. Spica is the brightest object in the constellation of Virgo located about 260 light years away. This binary star is 2,200 times more powerful than our Sun making it one of the 20 most prominent objects in the night sky. 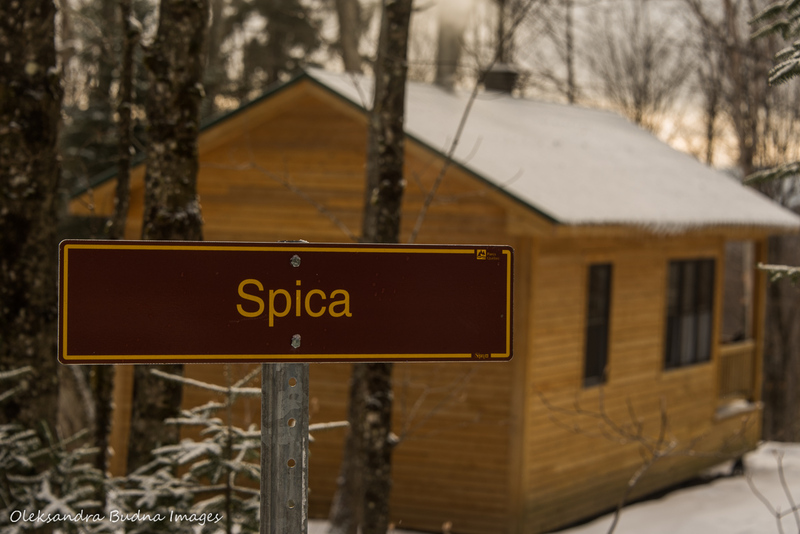 Spica was also the name of our cabin at Parc national du Mont-Mégantic where we spent the last few days of 2018 and greeted the New Year. Not too long ago I came across a post in my Facebook feed. I don’t remember the exact wording but it went along the lines of: if you don’t embrace winter, you will still have the same amount of winter and way more misery. Or maybe it was “embrace snow”? Anyway, the point is: rather than complaining about the weather and waiting for winter to go away, it’s way more fun to get outside and enjoy it.